Open letter to Jeremy Corbyn on Jeremy Hunt’s trip to Iran and repression in Iran. Jeremy Hunt’s trip to Tehran today has been billed as having three main aims: to address the growing tension over dual nationals like Nazanin Zaghari-Radcliffe, to stop the Iranian regime’s “destabilising activities” in the region and to show support for Iran as US sanctions begin to damage the economy. We fully sympathise with the many dual nationals who are being used by the regime as pawns in furthering its aims. The so-called legal system that has produced trumped up evidence and sentences against Ms Zaghari-Radcliffe and others is a central pillar of this dictatorship. For nearly four decades workers, socialists, women, national and religious minorities, students, gays, journalists and writers, artists and all dissidents have been subjected to summary executions, torture and long stretches in jail – in many cases without even a trial! Right now there are many teachers in prison, especially following the second nationwide sit-in on November 13-14th; around a dozen Haft Tappeh Sugar Cane workers are in detention; and 15 Heavy Equipment Production Company workers have sentenced to be flogged and imprisoned. These are just three cases from a long list of workers and the oppressed who have dared to express their just demands – e.g., payment of backpay! – and have consequently been criminalised and treated as threats to national security. Of course, we do not expect the Foreign Secretary of a right-wing Tory government to take up the cases of workers and other exploited and oppressed layers in society. 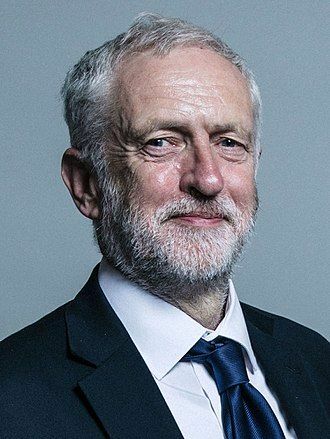 We do, however, expect that a left-wing Labour Leader of the Opposition and his Shadow Foreign Secretary to put pressure on Jeremy Hunt to make it clear to the Iranian regime that they cannot get themselves out of the current crisis by beating, arresting and killing protesters and strikers. The protests of Iran’s workers, women, national minorities and students are the catalyst for creating an Iran that is not only free of tyranny but one where workers and the oppressed run all aspects of society. As Esmail Bakhshi, the Haft Tappeh workers’ representative, said to striking workers a few days ago: “Haft Tappeh is completely in the hands of the workers … [and their] council” or the government takes it over “but not like before … [but] from ‘zero to one hundred’ of affairs under the supervision of workers’ councils and general opinion …” Mr Bakhshi has now been jailed because of his trade union activities. It is time for you and your Shadow Foreign Secretary to take side with the exploited and the oppressed in Iran and not the regime that perpetuates their downtrodden status in society. We ask that you use your position in parliament to expose the Tories for their ‘trade above all else’ policy and to push Jeremy Hunt to ask his Iranian counterpart serious questions about repression in Iran. We also ask that you show your own solidarity in deeds. We look forward to seeing some positive action and solidarity from the Parliamentary Labour Party. This entry was posted in National minorities, Political prisoners, Repression, Women's struggles, Workers' struggles. Bookmark the permalink.